An annual tradition is growing. The Tohoku Cup, now in its fifth year, is a preseason event set up to help teams get prepared for the upcoming season. It has become a key testing ground for players as they get ready for the long grind of the season, and an evaluation tool for coaches. The Tohoku Cup, of course, is another opportunity for fans to watch games. It started in 2012 with four teams (Akita Northern Happinets, Iwate Big Bulls, Sendai 89ers and Tokyo Cinq Reves), then a slightly different quartet (Akita, Iwate and Sendai were joined by the expansion Aomori Wat’s) the next season. Akita won back-to-back cups to kick off the yearly extravaganza. Iwate claimed the title by outdueling five teams under then-coach Dai Oketani in 2014, while the Fukushima Firebonds grabbed the trophy in the six-team tourney last year under Hiroki Fujita, who left the team to coach the San-en NeoPhoenix this offseason. The Firebonds will host this year’s six-team Tohoku Cup from Sept. 9-11. The Yamagata Wyverns, formerly an NBL team, will be a part of the tournament for the first time. The Wyverns will replace the Levanga Hokkaido in this year’s September showcase. On the opening day, Yamagata will face the Iwate Big Bulls and the Sendai 89ers will take on the Aomori Wat’s. The Firebonds, who joined the bj-league as an expansion team in 2014, will make their 2016 tourney debut against the winner of the Sendai-Aomori game the next day. Canadian addition: Iwate has finalized a one-year contract with forward Jordan Baker, according to multiple published reports and Slan Sports Management, which represents him, this week. Baker, who turns 25 next month, left the University of Alberta in 2014 as the school’s all-time leading scorer (1,698 points). Over the past two years, Baker was a productive all-around performer in Europe. The native of Edmonton, Alberta, began his pro career in the 2014-15 campaign with the Weissenhorn Youngstars in Germany’s ProB circuit. He averaged 15.1 points, 8.4 rebounds, 2.0 assists and 1.6 steals in 21 games. Last season, he played for the Galitos Tley in the Portuguese League and posted averages of 15.7 points, 8.3 rebounds, 2.1 assists and 1.5 steals in 33 contests. 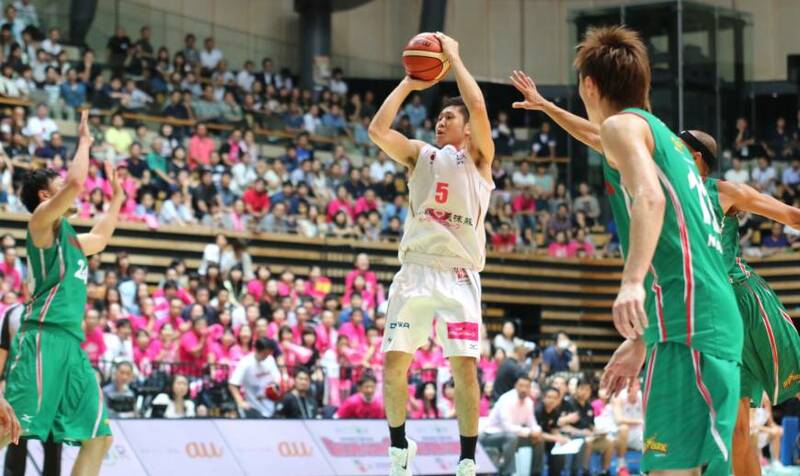 The Big Bulls have been assigned to the B. League’s second division for its inaugural season. Stephens returns: After a season away, standout forward Deshawn Stephens is returning to the Happinets. The B. League first-division squad made the announcement on Monday. The 206-cm forward suited up for Bandirma Kirmizi of the Turkish League last season, appearing in seven games, according to asia-basket.com, and averaging 15.3 points. Also last season, Stephens had a 19-game stint with Champagne Chalons-Reims Basket of the French ProA League and contributed 8.9 points a game, the website reported. “I am very excited for the next season with the Happinets,” Stephens, 26, said in a statement. “It’ll be great to go back and see the fans and the city. Stephens won the Slam Dunk Contest at the 2014-15 All-Star Game in Maebashi, Gunma Prefecture. 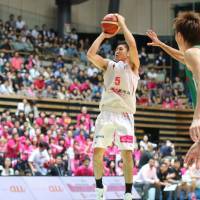 Later that season, he had a sensational performance (30 points on 12-for-13 shooting and 10 rebounds in 40 minutes) in the championship game, which the team then known as the Hamamatsu Higashimikawa Phoenix won in the closing seconds. Stephens made his Japan debut with the Phoenix in the 2013-14 season. New position: Hirokazu Nema, who served as the Gunma Crane Thunders’ bench boss last season, has joined the Hiroshima Dragonflies as an assistant coach, the second-division club recently announced. Before his lone season running the show for Gunma, Nema served as an assistant for the Crane Thunders, Shiga Lakestars and Toyama Grouses. Other coaching moves: Fujitaka Hiraoka has replaced Nema on the Gunma bench. He spent the 2015-16 campaign as head man for the Cyberdyne Tsukuba Robots in the NBL. Before his one season with the Robots, Hiraoka, 42, was a Niigata Albirex BB head coach (2013-15) and assistant (2005-13) after a long career with the team as a player. The team, now called the Ibaraki Robots, promoted Keita Iwashita, 27, to its top coaching position. Since 2013, he had worked for the team as an assistant and head coach before serving under Hiraoka last season.